New South Wales Department of Primary Industries - Lands (Crown Lands) has engaged Allen Jack+Cottier to explore options for Broken Hill's iconic Line of Lode. There is an online survey available to complete www.lineoflode.com which will remain available until approximately 6 December 2015. There are 22 questions within the 11 section Survey Monkey managed questionnaire. 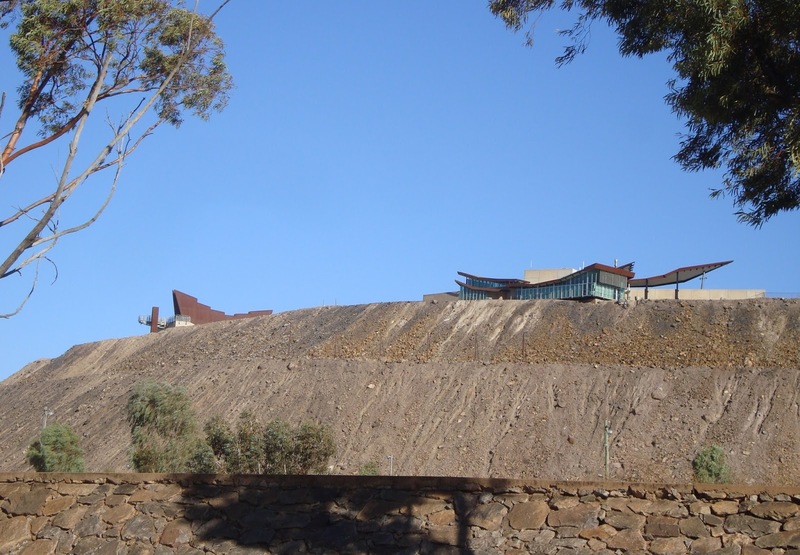 The aim is to seek community feedback on how best to develop and preserve the heritage of the famous Line of Lode, and to better understand its role as on of the icons of Broken Hill. Julie Clift of ABC Broken Hill's Outback Outlook weekday morning radio program interviewed the project director John Whittingham of Allen Jack+Cottier about the project earlier this week on Tuesday 24 November 2015. See link to the interview below. The short interview (approximately 5 minutes) begins around the 19 minute mark of the podcast. I've completed the survey. It's a great opportunity to have your views heard. Survey link - www.lineoflode.com . Link to information about the Line of Lode. Link to a pictorial article/post I put together about the Line of Lode.